Kirkhope Aviation has more than 40 years experience flying around Australia. Our qualified pilots are all instrument rated, commercial and professional. All Kirkhope Aviation Outback Air Tours and Custom Air Tours operate with one pilot, who also act as your tour guide and personal organiser, while assisted by local guides who share our passion for this country. Each pilot is a fantastic personality, fun to travel with, and will introduce you to the many outback characters and friends they’ve made over the years. 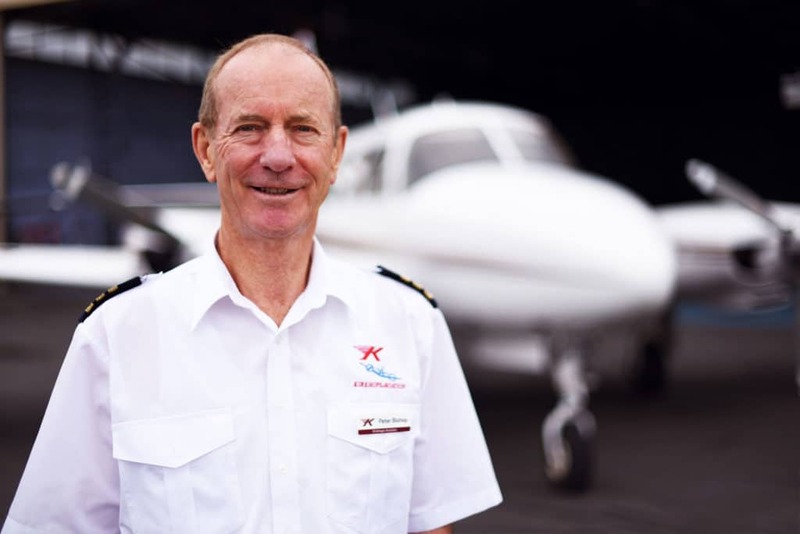 Kirkhope Aviation Founder and Chief Pilot, Tony Kirkhope has been hosting outback tours for over 40 years. 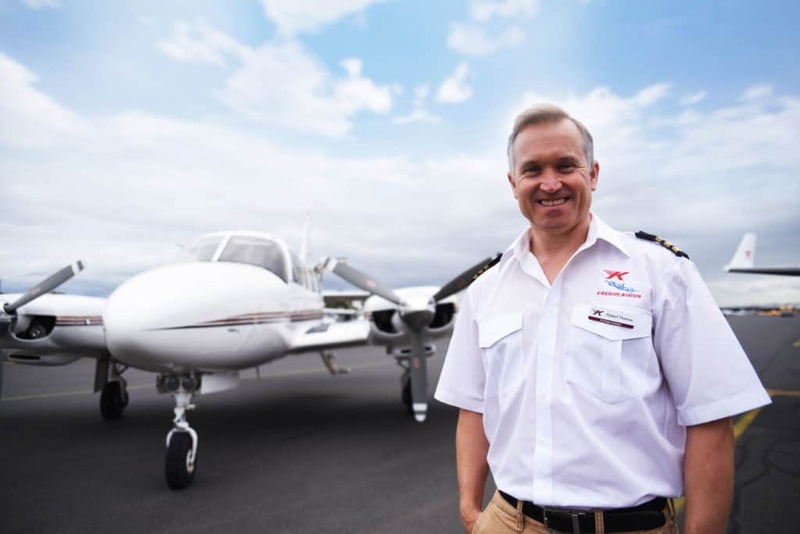 Tony started flying in Wollongong while working as an engineer and eventually turned a weekend hobby of flying to outback destinations into a full-time business. 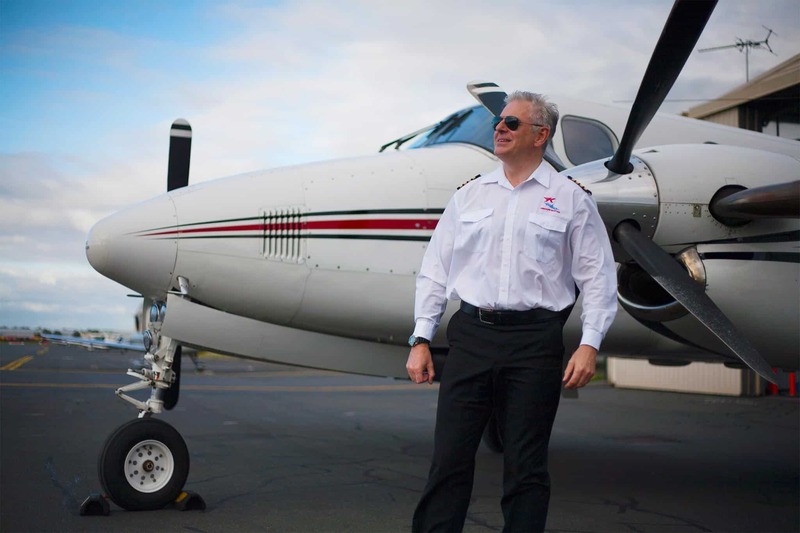 When he’s not navigating the skies, you’ll find Tony navigating the waters as a member of Cowes Yacht Club, enjoying weekends down at Phillip Island, or at his farm at Gembrook. A veteran of the skies, Keith’s 45-year career began when he was introduced to flying by a university physics lecturer. Keith has worked with Tony Kirkhope since 1979 and is currently Kirkhope Aviation’s Operations Manager. Like Tony, Keith’s early professional career was as an engineer, but he has been a commercial pilot since 1978. He was also once a part owner of a Cessna 152 and Beechcraft Bonanza. Keith’s favourite tour is Lord Howe Island and delights in telling people about the spectacular scenery, plenty of wildlife and no traffic! A particular highlight for Keith was a three-week trip flying through the South Pacific in 1982. Ever since he was a young boy, Tony has held a passion for flying. Even though he worked as an accountant, Tony felt the calling of the skies and even became a part owner of a Piper Chieftain. 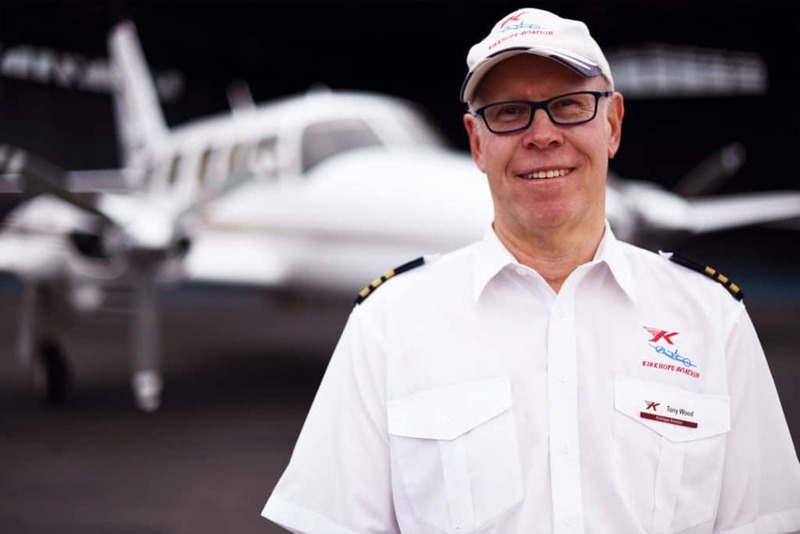 Tony started flying at Moorabbin Airport in 1976 and eventually caught the eye of Tony Kirkhope, who convinced him in 2008 that flying air tours and charters for Kirkhope Aviation was the way to go. For Tony, an absolutely outstanding trip is the Kimberley, and he never tires of the remoteness and the way in which the natural beauty of the coast blows guests away. A recent highlight was flying in formation with another Piper Chieftain piloted by Nick Stobie as part of a company photo shoot in April 2017. 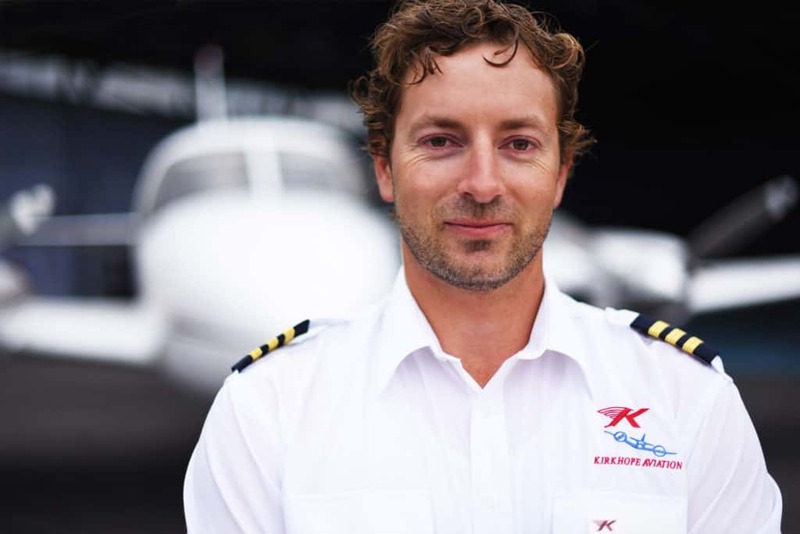 Rob started out working as a pilot flying night freight across Bass Strait before getting into passenger charter as part of the Kirkhope Aviation crew. He has been flying for 17 years. A proud Richmond Tigers supporter (a point he continues to make), Rob also has a collection of over 1200 different wines and is always happy to offer a suggestion over dinner. Taste of the Outback is a favourite tour for Rob and he describes the Ridgetop tour at Arkaroola as a definite stand-out. From a flight highlight perspective, Rob believes departing into a cold, dark, winter’s morning and climbing through the clouds to watch the sunrise over Bass Strait makes early starts worthwhile. 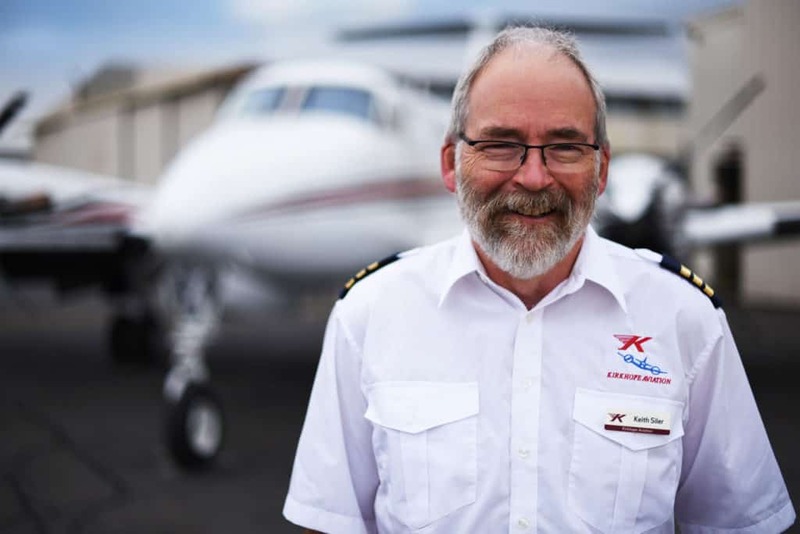 Peter has been flying for more than forty years and is one of the most experienced in the Kirkhope team. He continues to instruct at Moorabbin Airport and is responsible for internal training of staff members. Apart from being a gifted pilot, Peter also runs a successful electrical contracting business with his sons. The highlight of his recent career has been flying our Beechcraft King Air back from the United States in 2011 with Chief Pilot Tony Kirkhope. Together, they took the ‘scenic route’, and flew over Greenland, Iceland, Eastern Europe, and the middle-east, before landing in Broome, Western Australia. Jake joined the Kirkhope Aviation team in 2018 after completing studies in both aviation and music. 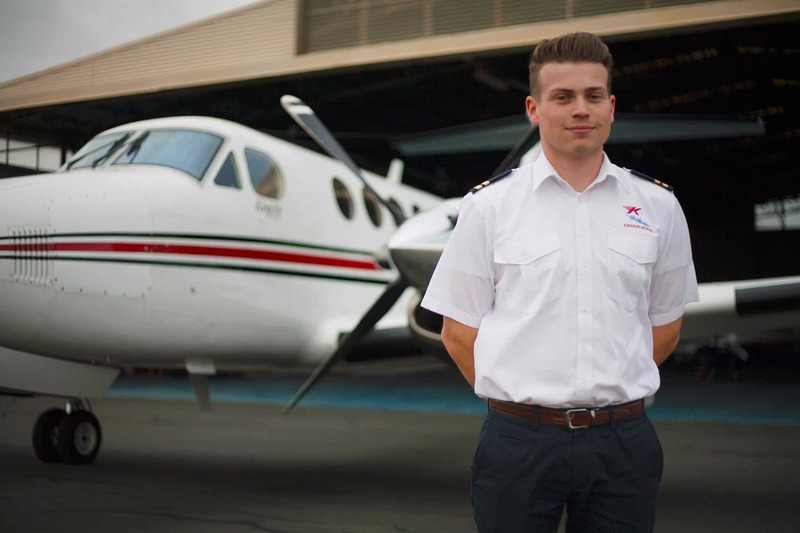 Jake has been flying for eight years, learning to fly at Sydney's Bankstown airport, before relocating to Melbourne and finishing his training at Moorabbin airport. A professional musician, Jake is more widely known for his talent on the saxophone, and continues to regularly headline jazz events throughout the country and internationally, working closely with his mentor, James Morrison. A highlight of Jake's flying and music life was touring around rural Queensland for 3 weeks as part of the Queensland Music Festival in a Piper Navajo performing in locations as remote as Jundah and Birdsville. Robbie is our newest member of the team, he has been flying for over 10 years and has experience flying around northern Australia and is very familiar with the Kimberley and Northern Territory regions. Aside from flying Robbie spends his weekend and spare time competing in sailing and has won world titles and national titles, his favourite boat is a hydro foiling experimental catamaran where he implements his flying skills while sailing! Robbie thoroughly enjoys all the tours and getting to know the many guests touring with us. 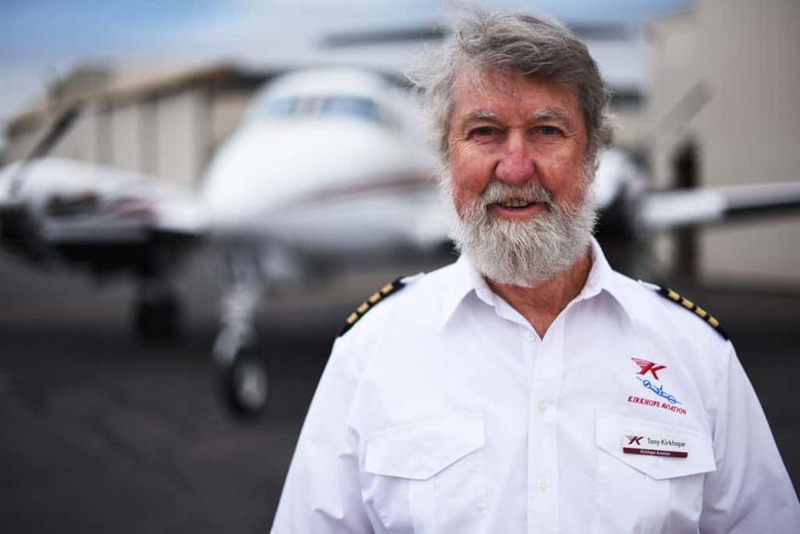 A veteran of the industry, Tony has flown charter for more than 30 years. Cutting his teeth on night-freight operations in the early 90s, Tony has accrued more time on Piper Chieftains than any of our other pilots over his career. Outside the cockpit, Tony also runs a successful IT consultancy and is responsible for maintenance of our full motion flight simulator. It was a thrill to see outback sights that we hadn’t had the opportunity to experience before. The whole itinerary, including the ground tours, was excellent. Tony – you were great company and good fun, and made the whole trip so enjoyable. We are very satisfied customers. I did the 3 day Taste of the Outback and it was wonderful. Fantastic trip with Kirkhope Aviation and a pleasure to deal with!